Greystar is paying a reasonable-sounding $3.1 bln for Education Realty’s student-bunking business. The astronomical cost of college is prompting changes to the market, though, such as kids telecommuting to class. It could deprive university real estate of its youthful glow. 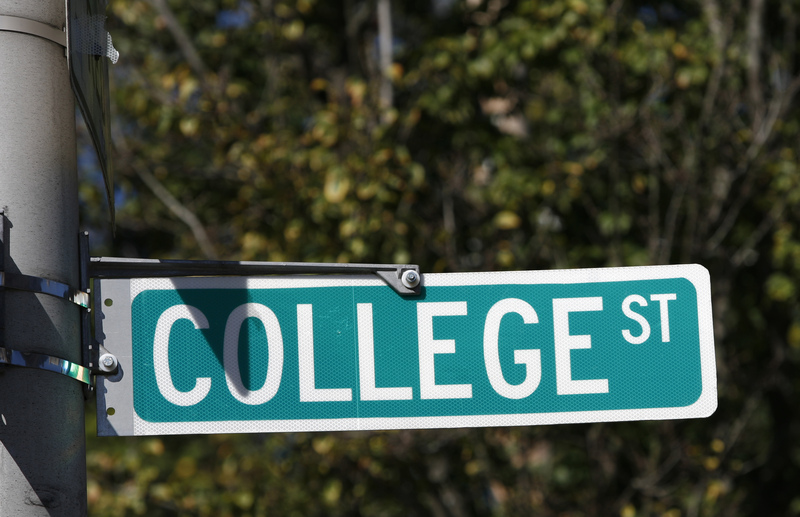 The College Street sign is seen on the campus of Yale University in New Haven, Connecticut, October 7, 2009. Education Realty Trust said on June 25 that it would be acquired by private residential housing company Greystar Real Estate Partners for $41.50 a share, or $3.1 billion. The deal is a 14 percent premium to the company’s closing price on May 31, the last trading day before reports of a sale emerged, the company said, and a 26 percent premium to the 90-day volume-weighted average share price. As part of the deal, a joint venture between Blackstone Real Estate Income Trust and an affiliate of Greystar will buy some off-campus student-housing assets.